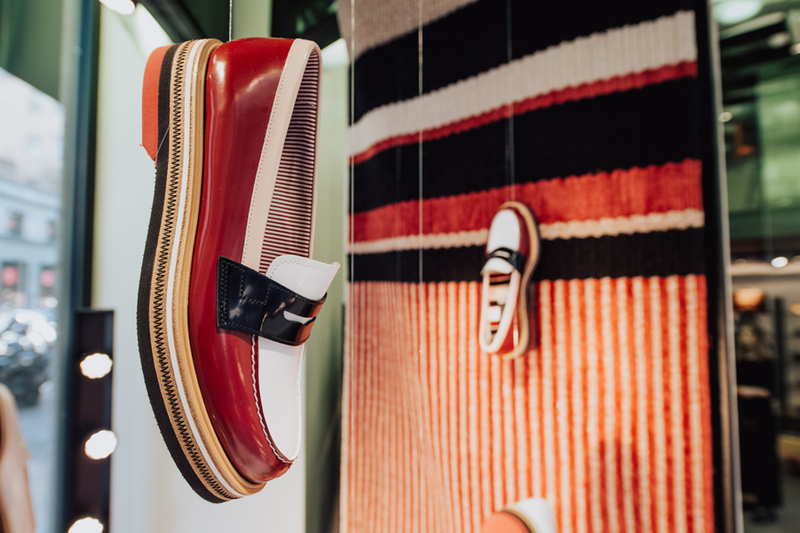 Fratelli Rosseti has chosen Milan Design Week period to present two special edition moccasins with a multicolor sole, in combination with a special tailor-made rug we created for the occasion. 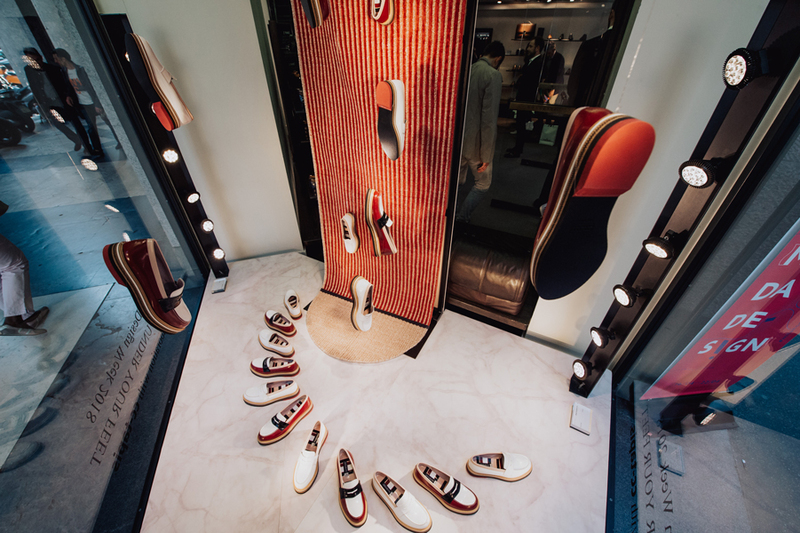 The common thread is the colors: white combines with mauve, pink and black, creating games of stripes. 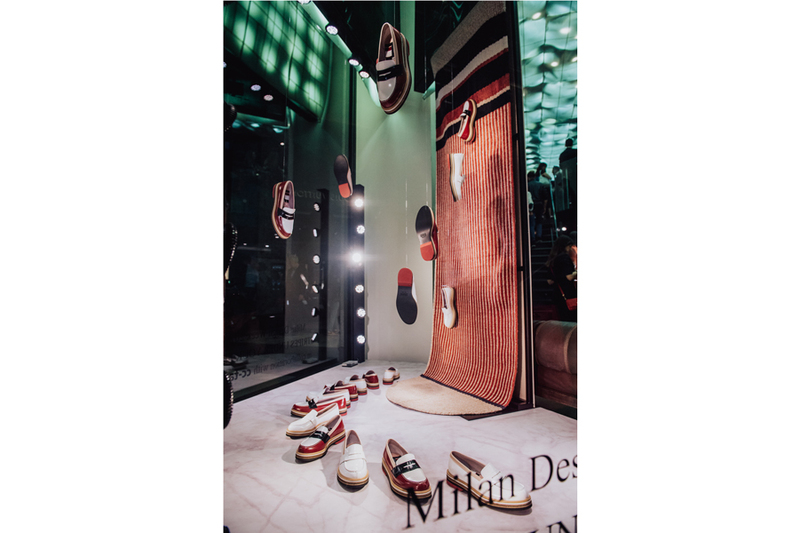 The collaboration between Fratelli Rossetti and cc-tapis is based on common values ​​such as respect for materials, the ability to combine ancient work with a contemporary style and the international vocation. 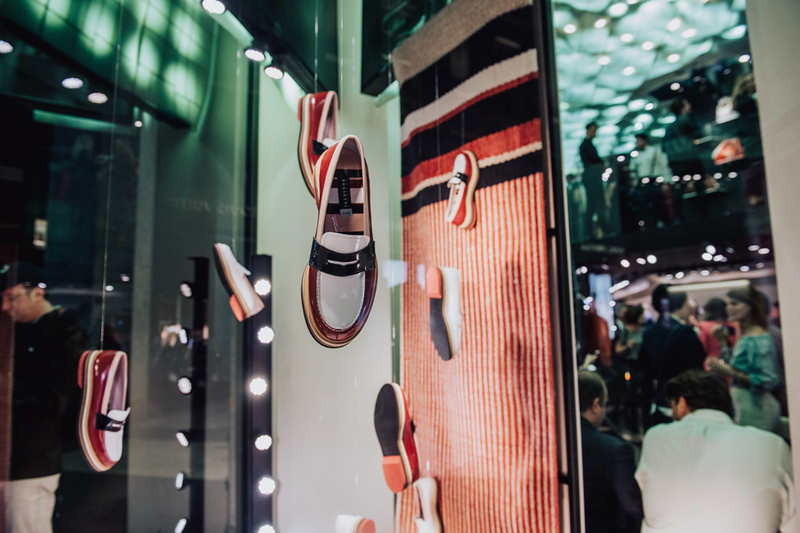 The design of footwear and carpets, made specifically for the Fuori Salone, is the result of a shared project: two seemingly distant worlds give rise to new creative synergies.